As part of Bowel Cancer UK’s Get Personal campaign, which aims to improve access to the best treatment for advanced bowel cancer patients, we’re working to remove a treatment break rule imposed by NHS England on advanced bowel cancer drugs, cetuximab and panitumumab. This blog explains the treatment break rule, why we’re pushing for its removal, and invites you to share your experience with us if you’ve been affected by it. What is the treatment break rule? 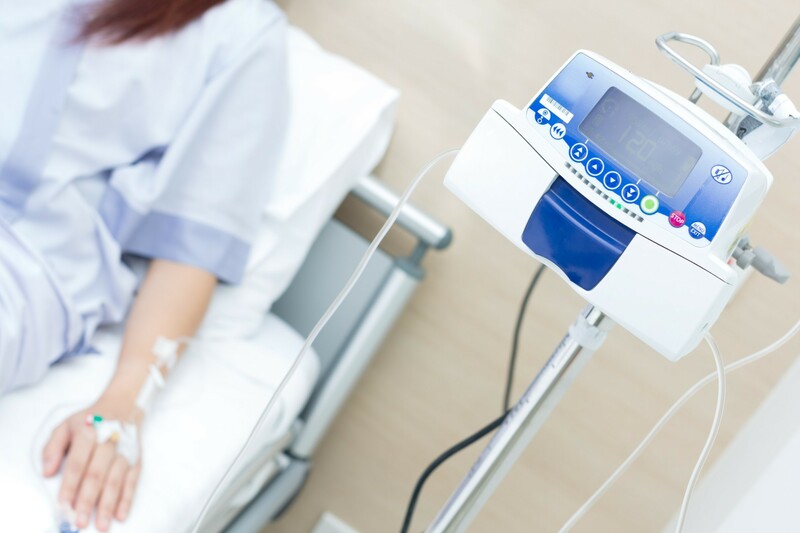 The treatment break rule refers to NHS England’s policy imposed on advanced bowel cancer drugs cetuximab and panitumumab, where planned breaks from treatment longer than six weeks are not allowed. Should a break be taken longer than this time period, funding for treatment is no longer provided by NHS England. This leaves patients in an extremely difficult situation where they are left struggling to self-fund for their medication. If a patient takes an unplanned break, for example to have emergency surgery, they can apply for an individual funding request (IFR) which will possibly allow them to restart treatment. Guidance on what constitutes a ‘planned’ treatment break is confusing to both clinicians and patients. Subsequently, we’ve heard how many patients feel forced to remain on continuous treatment, with some having up to 70 cycles of treatment every two weeks without any breaks to recover from treatment side effects. Who takes cetuximab and panitumumab? Cetuximab and panitumumab are targeted, or biological, medications and are used as a first-line treatment (the first medication used after a diagnosis) for advanced bowel cancer patients who have a normal RAS gene (a normal RAS gene is known as RAS ‘wild type’). In order to test for suitability for these medications, patients have their RAS gene tested to ensure their RAS gene is normal/wild type and not mutant. With few treatment options available to those with advanced bowel cancer, cetuximab and panitumumab are the only two first-line medications available for this patient group and are often peoples only lifeline. Ongoing access to cetuximab and panitumumab is essential for treating this patient group as it offers hope for longer term survival and, for some, even the chance of full remission. We’ve also heard about the psychological impact continued treatment has had for people with advanced bowel cancer, with many describing how their side-effects have left them feeling debilitated, isolated and self-conscious. In addition, the treatment break rule has restricted them from attempting to return to any level of ‘normality’, where they are unable to return to work or take extended holidays with family. In December, Bowel Cancer UK submitted a joint letter to NHS England signed by a number of members of the medical and scientific community. This letter called on the urgent removal of the six week treatment break rule imposed on these cancer drugs. We will be working with NHS England in the coming months to review this rule and to continue to push for its removal. Have you been impacted by the treatment breaks rule? It is vital that we can put forward as many experiences as possible to demonstrate the impact on quality of life this rule is having on advanced bowel cancer patients. If you, or someone close to you, has advanced bowel cancer and have been affected by this restriction, please help us to remove this rule by sharing your experience with us at campaigns@bowelcanceruk.org.uk. Similarly, if you’re in Scotland, Wales or Northern Ireland and have benefited from being able to have a treatment break, please get in touch. Read Jane’s story about living with advanced bowel cancer and the impact a treatment break would have for her. Find out more about treatment options for advanced bowel cancer. Find out more about our Get Personal campaign. Become a campaign supporter and join thousands of people helping to make real change happen for people affected by bowel cancer.